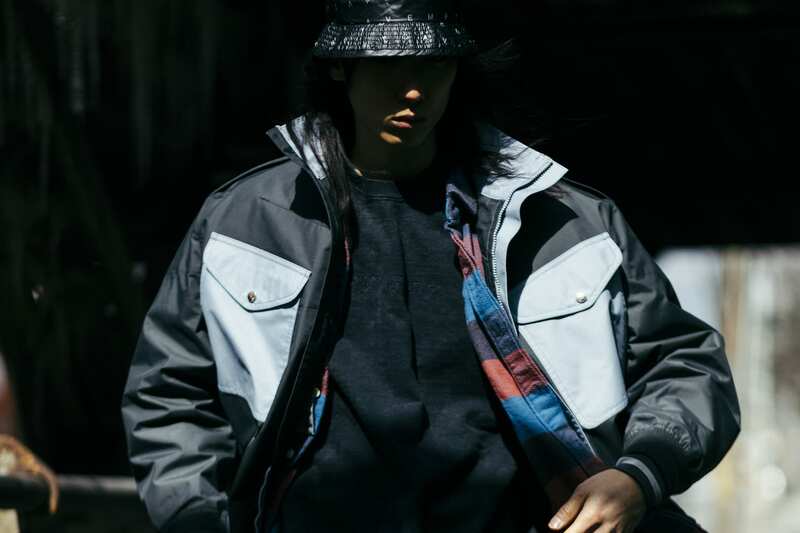 Born from a ‘90s Urahara movement, Japanese cult label NEIGHBORHOOD has played an integral role in the rise of Tokyo streetwear culture. From niche beginnings 23 years ago, it is clear there is real substance behind the brand carrying into present day. 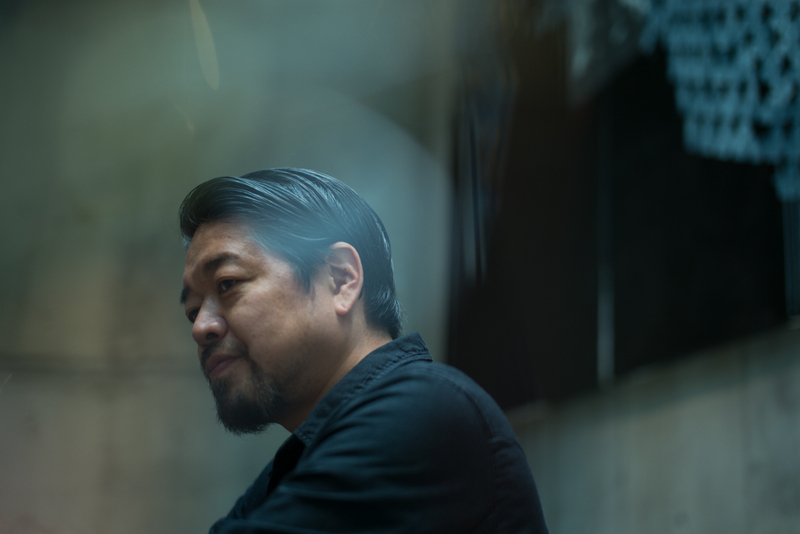 NEIGHBORHOOD founder and head designer Shinsuke Takizawa is recognised as one of the key members of the original Harajuku scene and boasts a global presence with over 100 retailers worldwide. 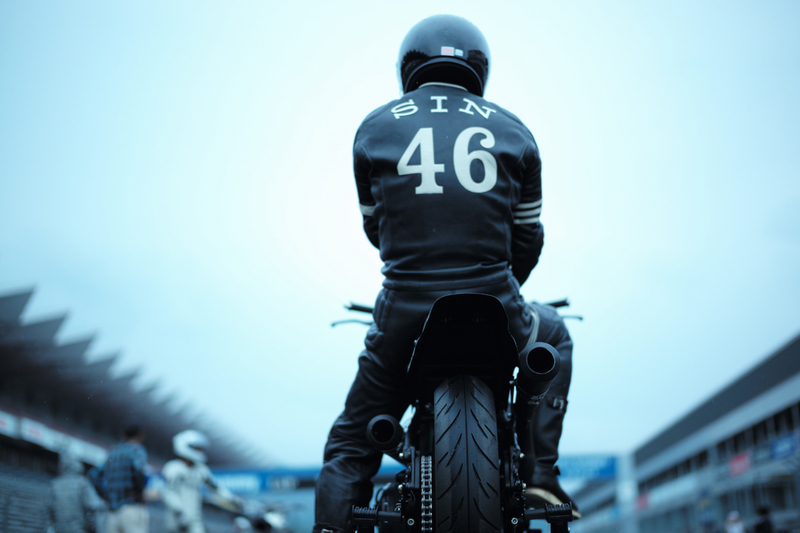 With motorcycle culture as a defining cornerstone for NEIGHBORHOOD, we ventured with them to Fuji Speedway —an annual motorcycle race that Takizawa takes part in, 180km away from Tokyo in Shizuoka prefecture. It quickly becomes apparent upon arrival that they are not into this culture merely for visual aesthetics. The head designer is accustomed to taking first place in these races, having steadily grown a serious pastime in motorcycles as a teenager. 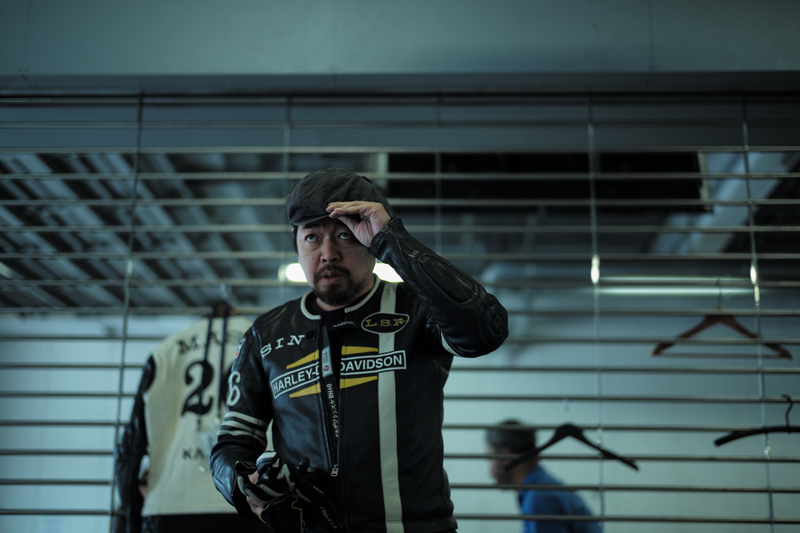 After spending the day at the races, it is evident that his presence in menswear is equally felt on the circuit, with crowds of motorcycle enthusiasts dropping by his booth to catch a glimpse of Takizawa and his crew. 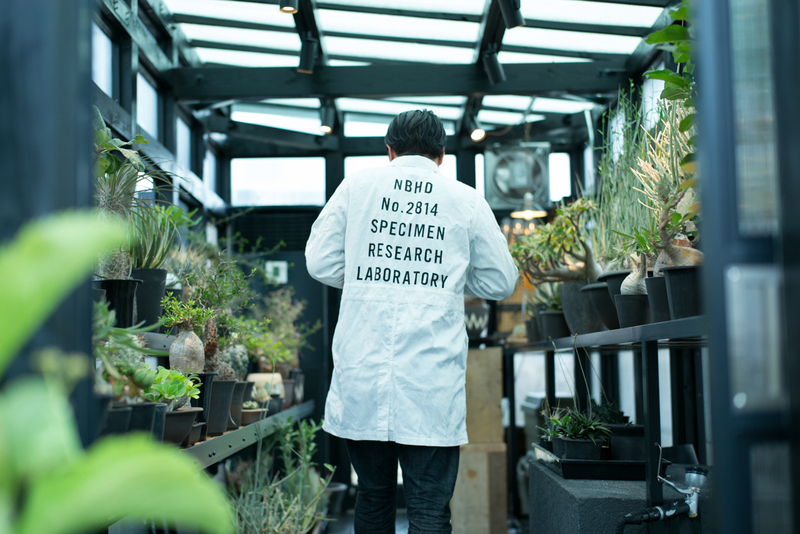 While NEIGHBORHOOD is largely known for drawing from American motorcycle and British punk culture, Takizawa also has a surprisingly fervent interest in plants which gives way to his most recent foray: Specimens Research Laboratory (SRL). 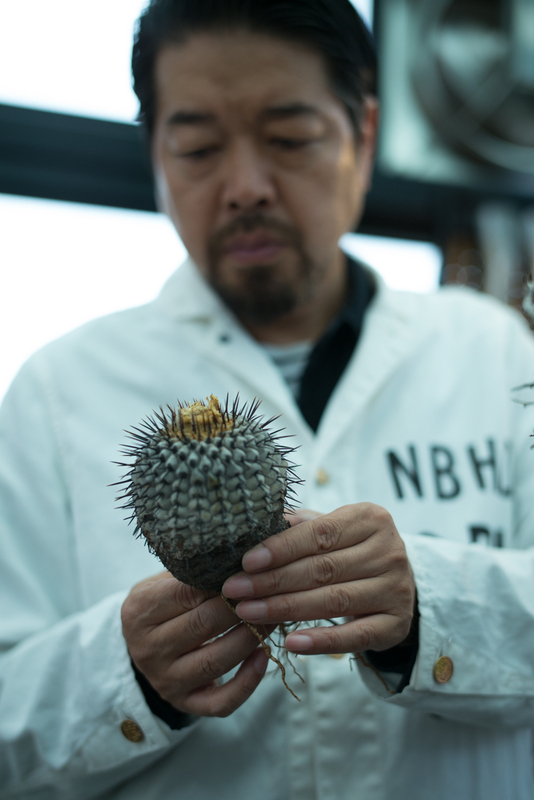 The newly launched division sees the construction of a rooftop greenhouse atop the NEIGHBORHOOD headquarters in Sendagaya, where we are given tour of the many rare and obscure plants that Takizawa has painstakingly acquired from around the globe. Takizawa is sincere in his passion for plants, just as much as he is with motorcycles. 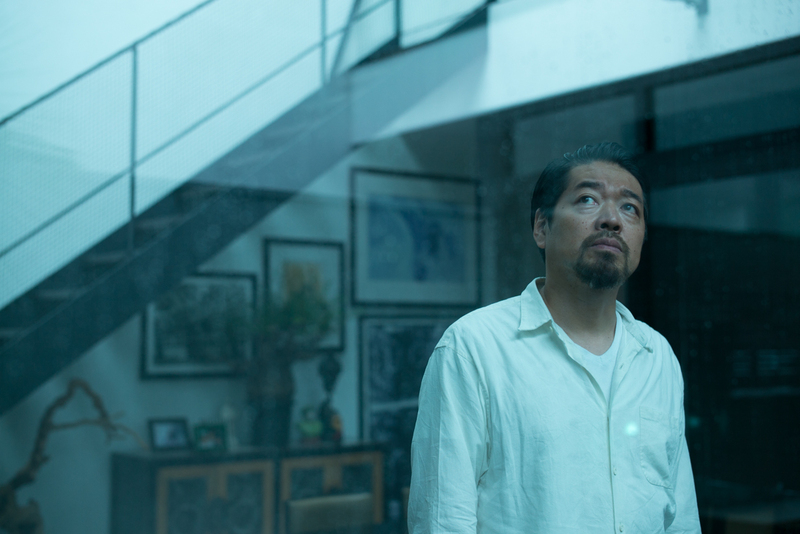 Sitting down with him at his home, we learn of another greenhouse atop his living room as he reveals the origins of how both of these interests have come to be defining pillars of NEIGHBORHOOD. Thank you for taking us out to Shizuoka for Fuji Speedway – it really was great insight into your life outside of designing clothes! 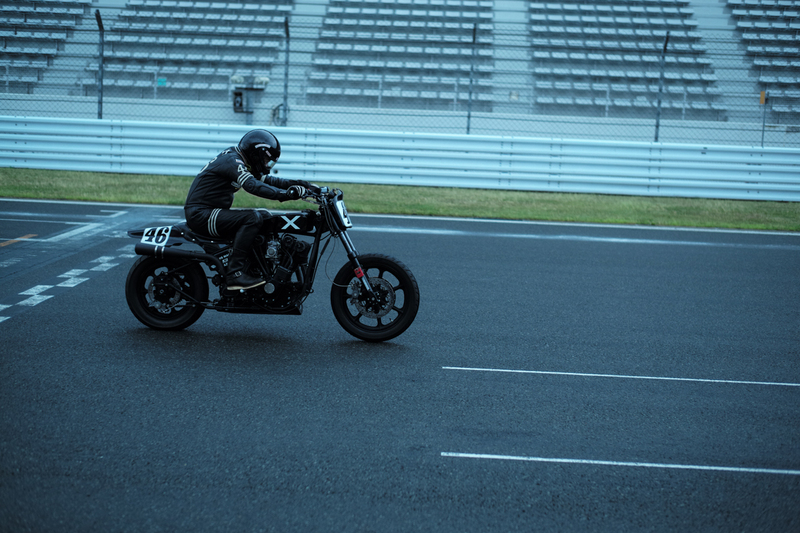 When did you first participate in Fuji Speedway, and how did you come to racing motorcycles in the first place? I’m not certain when exactly I first participated in Fuji Speedway, it may be around 28 years ago. I was always into bikes more on a street level and I would only ever ride motorcycles on the road. Racing on the circuit is an altogether different experience and I simply felt a yearning towards it. I was really interested in old motorcycles and the extent as to how fast you could race them on a circuit, so I guess that’s what lead me to racing. There are a few members in our team; however I did the design for my own suit. There’s a place in downtown Tokyo called Kadoya, which specialises in leather craftsmanship from a long time ago, and we had the design custom-made there. I’ve been using this suit for a while, seven to eight years or so. When it came to acquiring our racing numbers, the number 46 just happened to be the next number in our team; however, the name on the back does have that double meaning. I think Japanese people probably think it’s just my name and don’t particularly think anything of it, but when people from overseas see it, there seems to be a bit of startled reaction (laughs). I like that double meaning. Can you share some insight into the style of motorcycles that compete in these types of races? Understandably these racing bikes are very different from conventional sport bikes, can you explain the significance of your racing bike? The races I usually participate in involve old Harley Davidson’s, and until a little while ago, I was racing a bike from the 1940s. The bike I race now is actually made up of parts from the 1970s. A new regulation was introduced last year where people could start racing bikes going up to the 1980s. 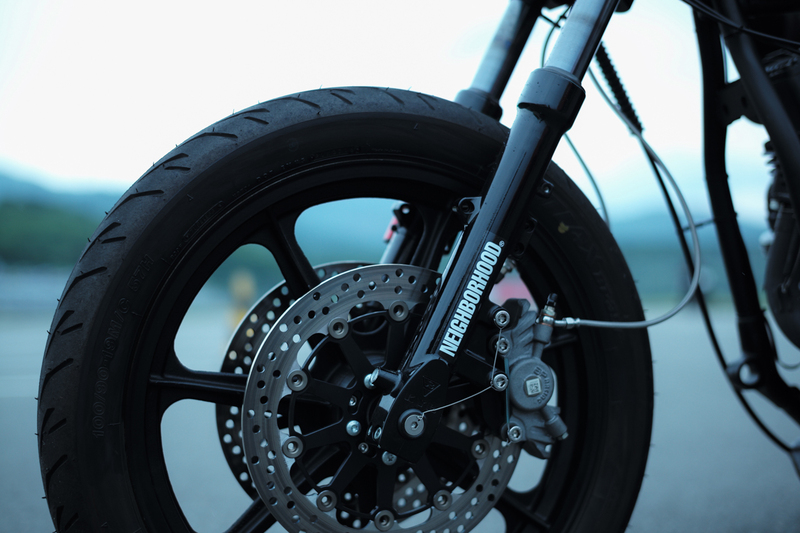 The introduction of this new rule reflects how motorcycle culture, from a global standpoint, is quickly becoming a minority compared to the past. 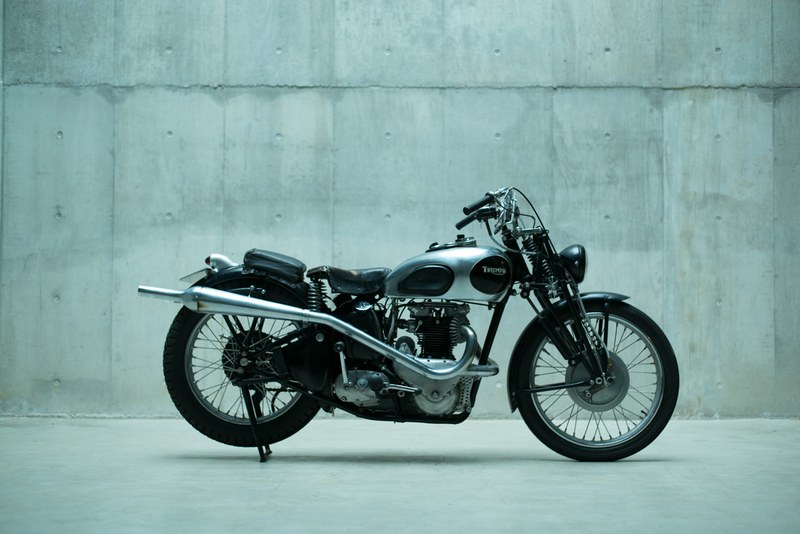 The numbers for people into this type of vintage motorcycles are really dwindling. 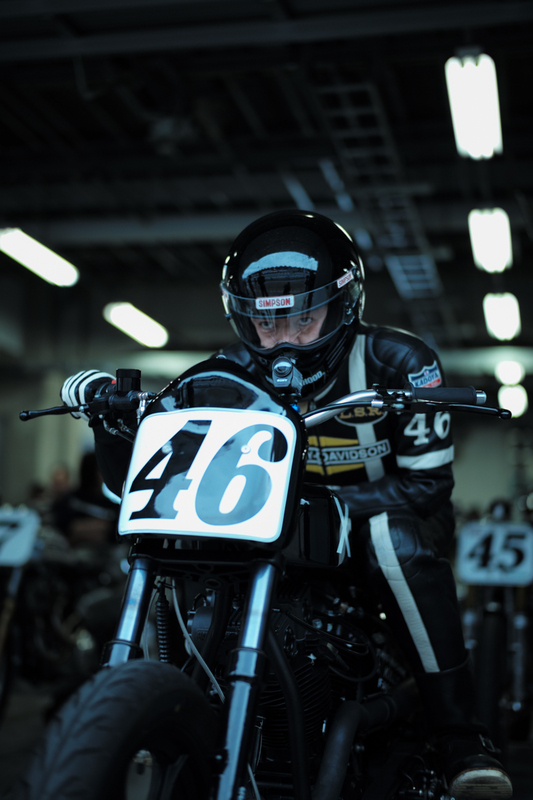 Furthermore, it can become too difficult to continue competing on a very old bike, so they started allowing motorcycles from the 1970s and 1980s to counter that, which in turn also enabled younger people to participate in the races. For myself, I see it as a development to encourage a younger generation to become involved — that’s why I put together the 1970s bike I ride now. 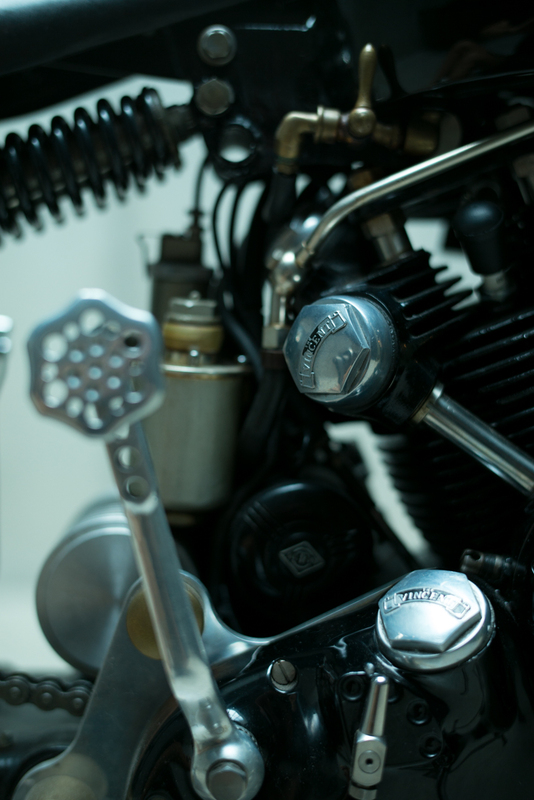 The engine itself is a Harley Davidson Shovelhead, which is what I use now; the rest of the racing parts are all within regulations as well. Can you explain your penchant towards the British style of Vincent motorcycles (Philip Vincent 1928-1955) and how the distinction of this style compares to an American style like Harley Davidson? Fundamentally I like the American style of motorcycles. Although the Triumph and Vincent models are both originally from England, they went through an American filter, so to speak. They were brought into the States and underwent further influence and customisation from there. I like that kind of history, which also draws parallels with Japanese fashion. I really enjoy researching the history of motorcycle and racing, my interests there are very deep. 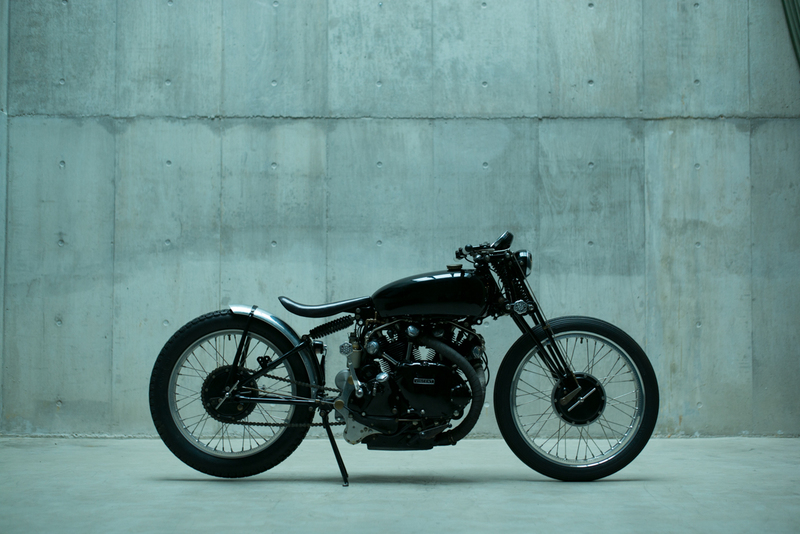 The 1951 Vincent Black Lightning is a very special motorcycle. It has a competition motor and is quite difficult to acquire, even if money weren’t an issue. A good friend of mine from the States, Jeff Decker, who is actually a bronze sculptor was the former owner and had customized it. I traded it for something of my own a few years ago (laughs). 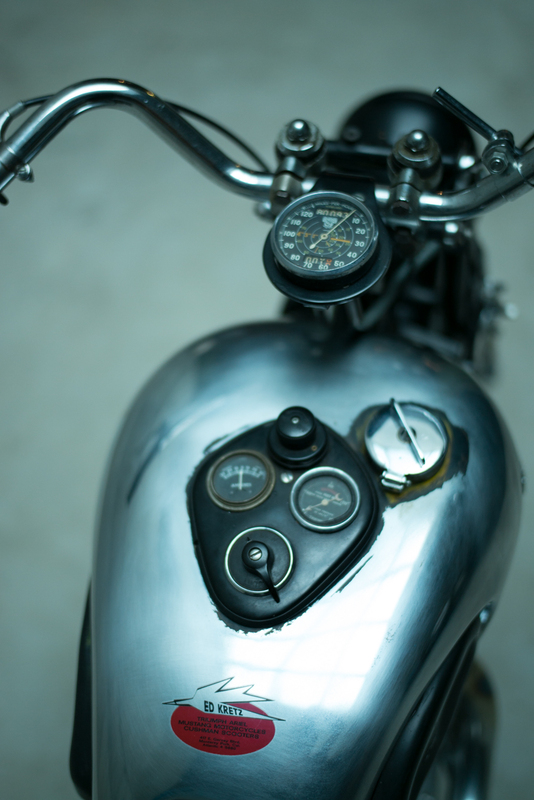 Sure there are custom bikes that are made for riding, but I also see motorcycles as a form of artistic expression. I sometimes wonder whether that Vincent might actually be the most beautiful bike in the world. How old were you when you first rode a motorcycle? I think I was around sixteen or seventeen when I first rode a scooter to commute to school. 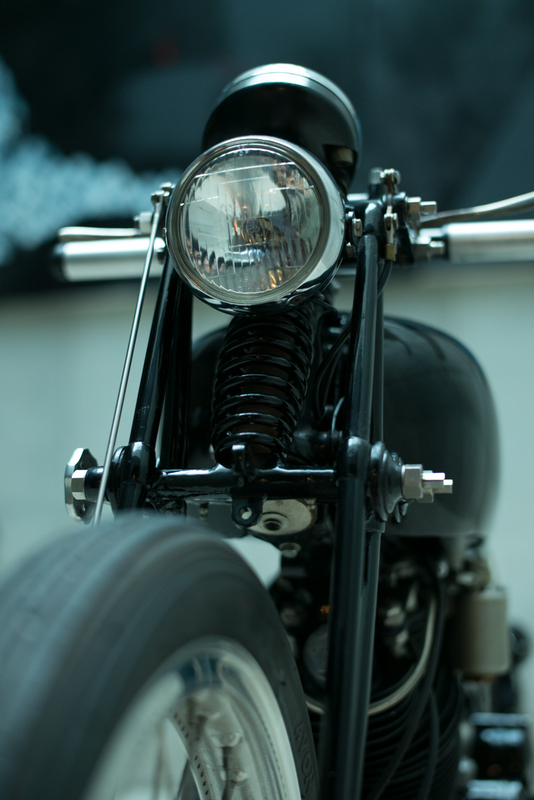 From there, my first memory of actually putting together a motorcycle was from when I was twenty. It was a 250cc Kawasaki remodelled into a chopper, and I started riding a Harley Davidson when I was twenty-one. I didn’t have a license for about two years during that time (laughs). Around that time, I remember there were these two worlds of either racing style or chopper style in Tokyo. This was also around the time when Amekaji (American Casual) really started to become a thing in Japan, and it was linked to the culture of American motorcycles. There’s an area called Fussa in Tokyo where a lot of my friends used to live in US Military housing. They were all into fixing up choppers and that’s where a lot of my influence came from. This was probably around the late ‘80s, beginning of the ‘90s. What are some of your favourite routes to ride your motorcylces in Tokyo? Your favourite weekend rides? I used to ride all over the place in the past; however, recently I’ve only been able to ride in areas nearby with my friends and I’m completely satisfied with that. I also race on the circuit about four times throughout the year and sometimes also ride out to Yokohama with my friends, so that’s plenty of enjoyment for me. Motorcycle culture has played a large role in NEIGHBORHOOD’s identity; however, NEIGHBORHOOD has seen a recent foray into plantlife within the last year. Can you explain this new venture into plants? Was this something you were always interested in? I wonder how it actually started myself; I can’t recall a specific time to be honest. 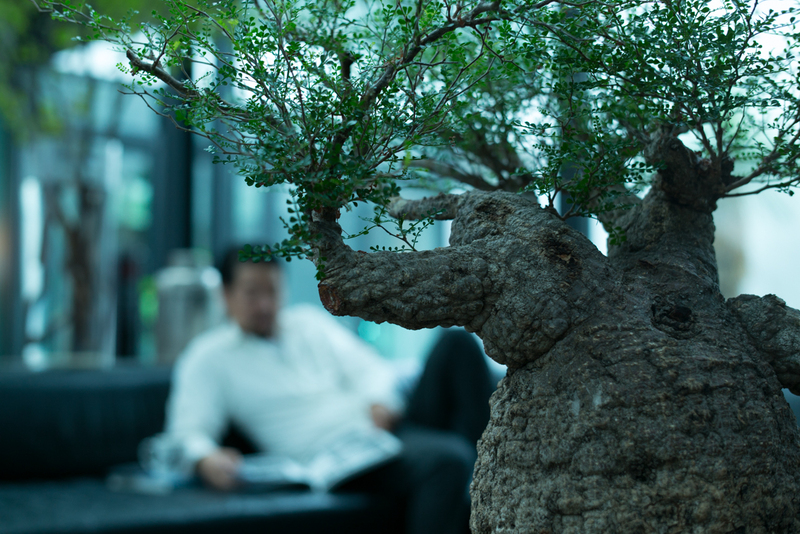 I was originally very interested in bonsai, I guess because I’m Japanese. 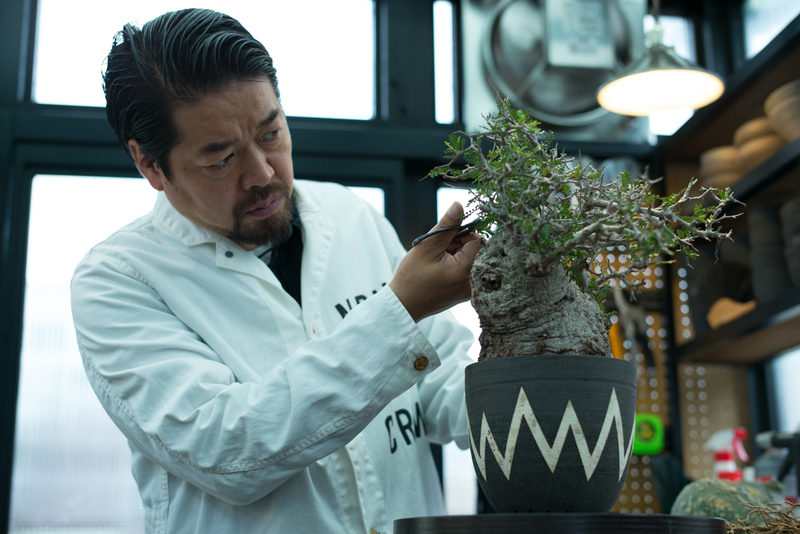 I was interested in the different styles and shapes of bonsai, but to be able to make and keep them requires a great deal of skill and expertise. Just when I thought it would be too difficult to do it myself, I realised that cactuses and succulents also share a likeness with bonsai. I guess things started from there. Please define SRL (Specimen Research Laboratory). What are your intentions with this new department of NEIGHBORHOOD? As you know, the word “specimen” can be used for many things, like an example or a sample. But for plant specimens, they can be very rare, sensitive or just very large plants. 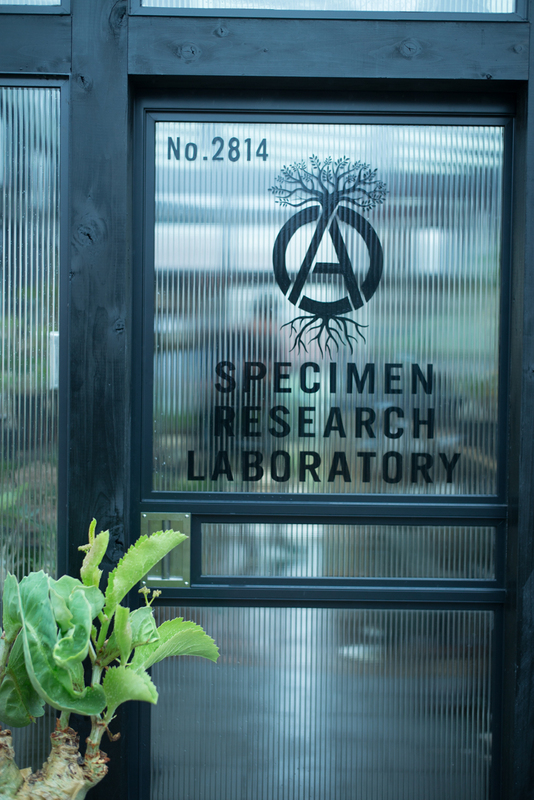 The name came from the curiosity to research these different specimens in a laboratory and the corresponding apparel relates to what you would use in a laboratory or, in our case, a rooftop greenhouse. I wanted to release this as a different means of expression. When I was very young, I grew up in the countryside in Nagano prefecture — in the mountains — so I was always very close to plants and animals. I suppose my fundamental interest derives from this; however, I find it interesting to bring this aspect into the city and into urban life. If you lived in Arizona, you really don’t need to do this because it naturally grows everywhere. I believe that greenery is a necessity in a human’s life. I wanted to give it some shape or form and bring it to a place that doesn’t readily have this. I also gathered earlier that there was some influence from your elder brother. Yes, when I was a child, my older brother and I would collect a lot of plants and care for animals. That childhood influence was very strong. My older brother continued to make plants his principal occupation. He’s actually an expert in the field of plants under the genus Tillandsia, and spent a lot of time collecting and researching this kingdom in the mountains of Mexico. There are several new species of Tillandsia that he’s discovered and have even been named after him, “Takizawa.” I wanted one of them, but he won’t give it to me (laughs). His work involves him going overseas to set up plantation sanctuaries. Do you think you’ll ever work together with your brother somewhere down the line? Since he’s a studied expert in the field, he’s continuously teaching me all the time so I think that part of our relationship is good just as it is. We were into these things as children, but I never thought he would end up dedicating his life towards plants. 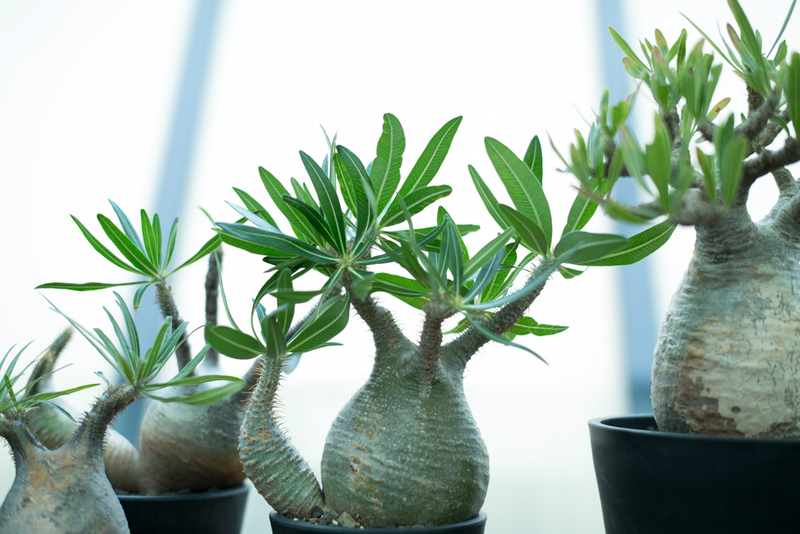 Your passion for succulents is quite apparent, as well as your unique penchant towards rare and almost “alien-looking” plants — some even being several hundreds of years old. With the recent addition of the newly constructed NEIGHBORHOOD greenhouse, which houses plants from around the globe, can you describe a category you are most into right now, where it originates from and why? Of course there are certain properties about plants that I admire, but what I find fascinating is the impact a plant can give you when you first see it. It could be a strange or unique shape that I find really interesting, and there is always a specific reason or meaning that lies behind the shapes of each plant. These are the things I consider when I select plants. There are plants that are small in size, though they might be several hundred years old. When they come into urban care, people think to give these special plants water or nourishment, but this is excessive care considering where they came from and their original surrounding environment. Some of these plants can go without rain for an entire year and have developed ways to retain water for extraordinary extended periods of time. Since the surrounding conditions are so harsh, this also means their growth rate is very slow and takes a lot of time. At the moment, I’m really into plants from Somalia, Madagascar, and Socotra; however, Somalia is really something. There are a lot of rare and interesting plants in and around that region, but since it’s such a perilous place, it makes collecting these specimens very difficult. There’s a lot of destruction to the surrounding nature from war as well. For people who are into plants, Somalia is a bit of a key word that often comes up in discussion. There’s a genus of succulent named Pseudolithos – there’s only a technical name — that almost looks like an alien and sprouts a small flower that is very pungent to the nose. It’s interesting that the appearance of these tend to gain the interests of artists or artistic people. 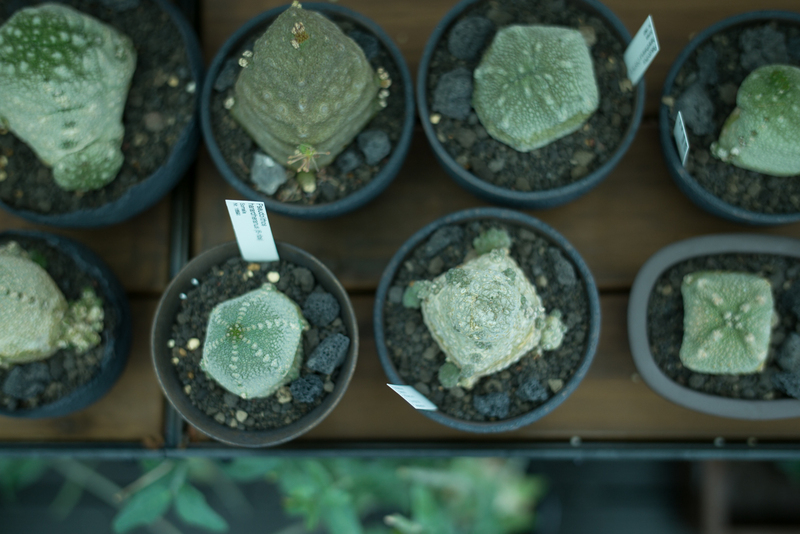 What’s more is that recently, there’s been a resurgence of traditional style earthenware amongst a younger generation in Japan, which I’ve used to contain our range of Pseudolithos. I particularly enjoy combining these overseas succulents with traditional pottery from Japan originally meant for bonsai. I see that as a new form of expression. 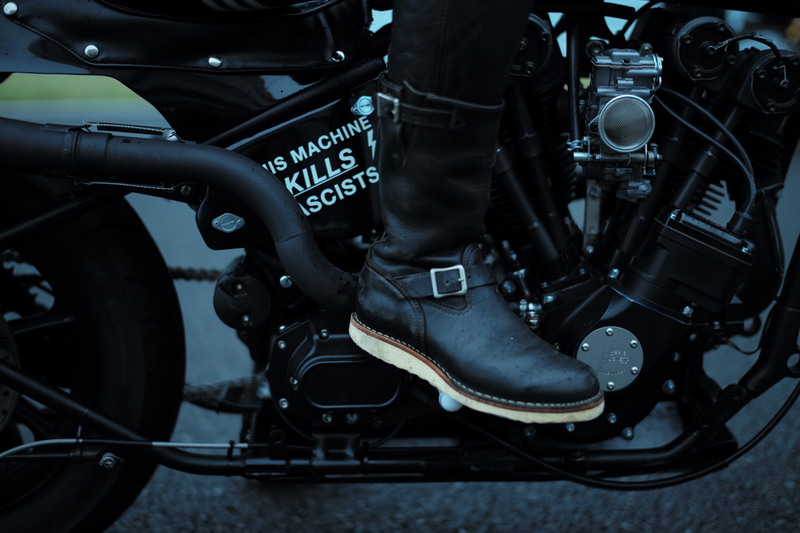 We’ve explored a lot about motorcycle and plant culture, but going back to the brand side of things, we’ve seen many brands come and go within the past decade in this fast evolving climate of menswear fashion. With a brand that has a history of 23 years, what are some of the recent challenges you’ve faced when it comes to adapting to an ever changing market? Everyday is a challenge and there are many different kinds of challenges, ranging from collaborations with big scale companies. The most challenging aspect was advancing into the global market, and deciding how to project and express ourselves into a previously unknown world. I think determining how to convey who we are and what we do to different cultures has been one of the biggest challenges for us. Within the last seventeen years, the scale of the world has changed so much through advances like the Internet and social media. When we first started NEIGHBORHOOD, we were sending order sheets through fax machines (laughs). It seems quite funny to think about that now. I think people have largely changed with the introduction of the Internet; that stage is quite a defining period in the history of humankind. I notice this the most when I see my own kids. They don’t even really watch TV anymore, it’s mostly just SNS or YouTube. Once you take notice of that, you truly understand the extent to which this trend has taken off. Until now, trends only took off through mediums such as TV and magazines, and now books are starting to become harder to sell. All these new trends or movements gain traction from the Internet, YouTube and SNS. Going forward, I think these mediums are only going to accelerate, becoming further established and accepted as part of normal culture. Things that were a huge hit in the past, like Terminator 2 or a big hit band, tended to be popular for an extended period of time, but now the pace of things is so fast that people tire easily and move onto the next thing. The Internet makes the transmission of information to be increasingly fast, and sure, there are certainly convenient things that come out of this, but at the same time I can’t help but also feel a sense of wastefulness. It’s always next, next, next. Compared to the past, it seems like nowadays there’s less of a sense of unity, of sharing things with people through mutual things they like. Nowadays, it seems like there’s less of that because we are exposed to an incomprehensible amount of information and now the options are endless. Things that used to be a big hit in the past would remain popular for a decent amount of time; things used to hold more weight. Now, it’s becoming increasingly difficult to make things like that, and instead things are popular now for only a fleeting moment. In this fast-paced climate with brands always coming and going, what kind of advice would you give to a younger aspiring generation from the standpoint of running a brand? To be honest, I would say to not do it at all. If I tried to start something new now, I think I would definitely not succeed. I don’t actually think anyone truly understands why we do things fundamentally. There was the Urahara movement in the ‘90s; it wasn’t known globally and it was around the time the cell phone was starting to be introduced. Of course, the Internet wasn’t around back then either – we would literally have to cut things ourselves and send it off in the post to England or the States in order for people to find out about us. 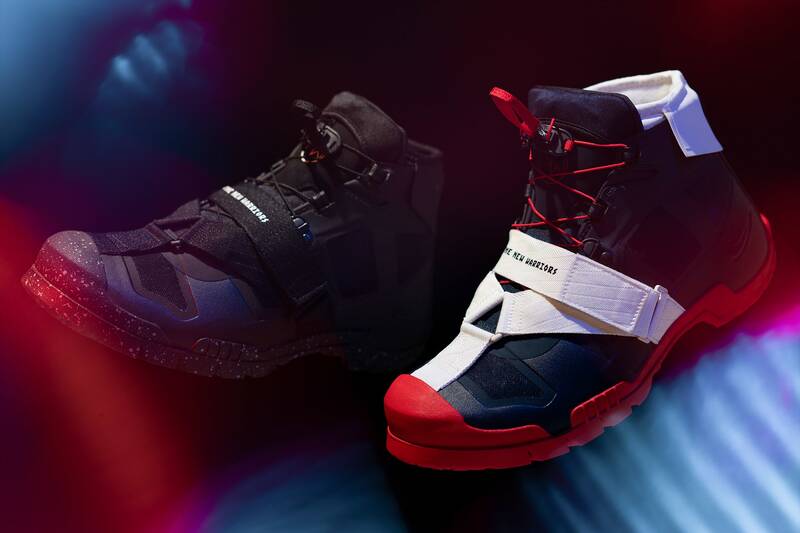 But fortunately, for some reason the Urahara movement started to become a global trend, and people took an interest towards creatively made products in Japan. I consider us very lucky to have been within that movement. A Bathing Ape, Undercover — there were all sorts of people, but in terms of creativity, they were all very seriously engaged with what they do. I see that as quite a defining Japanese characteristic that probably sets them apart. I think it’s the same with any profession, and it’s important to go about things genuinely and accumulate from there. Speaking in terms of creativity, I think that seeing hip-hop in its beginnings and understanding what sampling is was really engrained in our generation. Until then, you had to have gone to a certain school, studied really hard, and then worked at some esteemed place to succeed in fashion. The ultimate goal back then was Paris Fashion Week. Of course we respect what Paris Fashion Week is, but never really thought it was for us. It’s a bit difficult to express into words, but we would apply sampling to making clothes and, in doing so, would create a new story altogether. That’s the value we were aiming for and I think that technique was also new for that time. I think there was a bit of a stigma at the time when people thought you shouldn’t make clothes unless you’d been to Paris and properly studied fashion for several years. So fundamentally, that’s why I think these new techniques were quite big for their time. What kind of changes have you noticed within the brand internally and the surrounding market? One of the biggest changes within the company was the sheer increase of staff over time. The market also expanded for us, so I think those two things were the biggest. With the introduction of a younger generation of staff, I make a conscious point of taking in their opinions. For creative people, there are times when it’s good to remain stubborn with your ideas, but I prefer to listen to a good range of people’s opinions and make sure to digest them. Even more so nowadays, I don’t think we should be afraid of change. If you aren’t able to change, you’ll just be left behind. What do you have in store for NEIGHBORHOOD moving into the next decade? I definitely want to further express what we do in the overseas market. 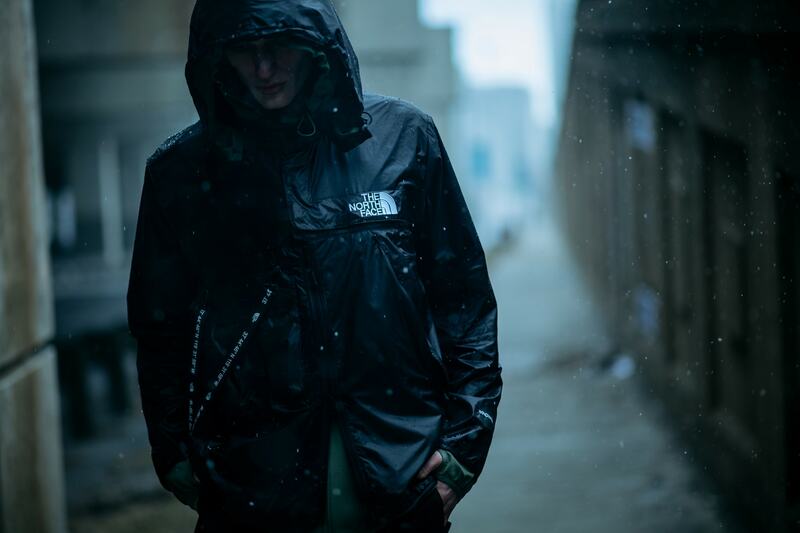 At the moment we have HOODS stores, which we operate with WTAPS, in China, Hong Kong and South Korea. I’d like to see this grow into North American and European regions too. The Japanese market is also very important, and I don’t regard the Japanese market to be separate from the rest of the world anymore — it’s all the same now. I see it as a natural continuation of things from Japan to the rest of the world.